Vancouver Theater Sports Channel presents Merry Kiss-mas - an Improvised Parody romantic comedy that celebrates all the inane clichés and funny awkward moments you&apos;d expect to see in any popular TV holiday-themed special or films like Love Actually. The improvised &apos;plot&apos; and characters are driven by suggestions from the audience. This show is about celebrating those amazing movies we love to watch at Christmas whether we admit it or not – you know the ones - the super cheese-y, super fun, super formulaic warm-hearted shows. We all know there&apos;s a happy ending, what happens before that is where the fun and surprises are found. Give yourself the gift of laughter this season and join us – it&apos;s way better than receiving a lump of coal. Poor Dorothy! Flung from her Port Coquitlam townhouse by an earthquake that had ABSOLUTELY NOTHING TO DO WITH Tornado Resource Extraction Inc.’s suburban fracking, she finds herself in the magical Land of Oz. Pursued by the dastardly Wicked Witch of the West Side, Dorothy joins her friends Non-Binary-Tin-Person, Cowardly BC Lion, and somewhat spaced-out Scarecrow on a journey to the Emerald City, aka Olympic Village, in search of heart, brains, and courage. East Van Panto returns for a sixth year, welcoming celebrated playwright Marcus Youssef to the creative team. Director Stephen Drover (East Van Panto: Hansel & Gretel) returns, along with Panto favourites Veda Hille, Dawn Petten, Raugi Yu, and Andrew McNee. Featuring Elbow Room Café: The Musical’s Christine Quintana! To purchase tickets and for more information, please visit the Cultch&apos;s website. 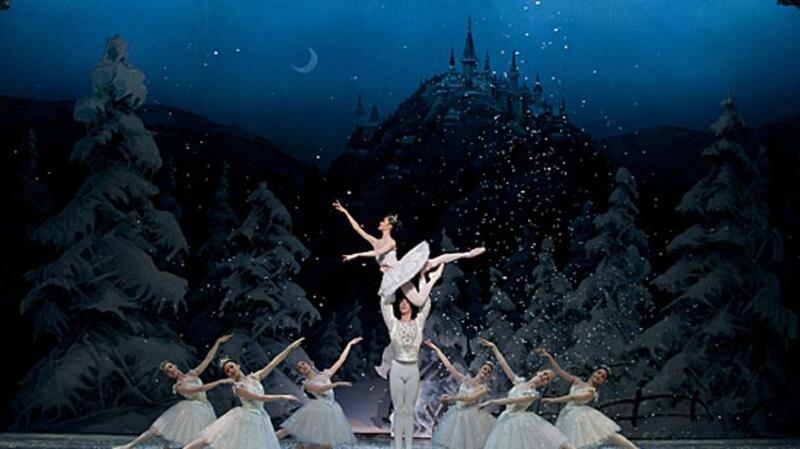 The 2018 production of Goh Ballet’s The Nutcracker promises to be the biggest production of its history yet and will be the premier dance event of the season. Presenting five performances at Vancouver’s Queen Elizabeth Theatre, Goh Ballet’s rendition features an intricate cast of over two hundred and fifty dancers, actors, gymnasts and guest artists, including homegrown talent and principal dancers of international acclaim. Under the baton of Maestro Leslie Dala, the Vancouver Opera Orchestra will bring Tchaikovsky’s iconic score to life. In Ronnie Burkett’s Little Dickens, the cast of The Daisy Theatre take on the beloved holiday classic, A Christmas Carol, in the merriest marionette mash-up ever. Faded Daisy diva, Esmé Massengill, plays the role of miserly, drunken, bitter Esmé Scrooge, encountering all your Daisy favourites (as Dickens’ familiar characters!) on her journey to redemption.A raucous, adults-only holiday treat, Little Dickenscombines Burkett’s mastery of marionette puppetry, playful songs, and improvisation! It’s a Wonderful Life, set to soaring songs from the &apos;20s, &apos;30s, and &apos;40s, is a timeless holiday classic. With a little help from his guardian angel, George Bailey, is brought back from despair on Christmas Eve to see how he has truly touched all the people in his life. Incorporating beloved holiday classics and songs of the greatest songwriters of the period—such as George and Ira Gershwin, Ivor Novello, Kurt Weill and more—It’s a Wonderful Life is a heartwarming holiday story to share with family and loved ones. Travel to Bedford Falls for a joyous journey that will have you checking for Zuzu’s petals in your own pockets and make you believe that every time a bell rings, an angel gets his wings. The signature production of the C.S. Lewis classic The Lion, the Witch, and the Wardrobe is back and, like Aslan, it’s on the move! A splendidly theatrical invention that captivates the adult imagination as powerfully as a child’s with its rich themes and unforgettable images.